This lovely Mummys and Mine Childrens Baking set features the hand painted designs of Hannah Dale. This childrens set includes a lipped mixing bowl, a long handled mixing spoon and an apron. The perfect set for teaching little ones to bake and also makes a great gift for a mother and child. 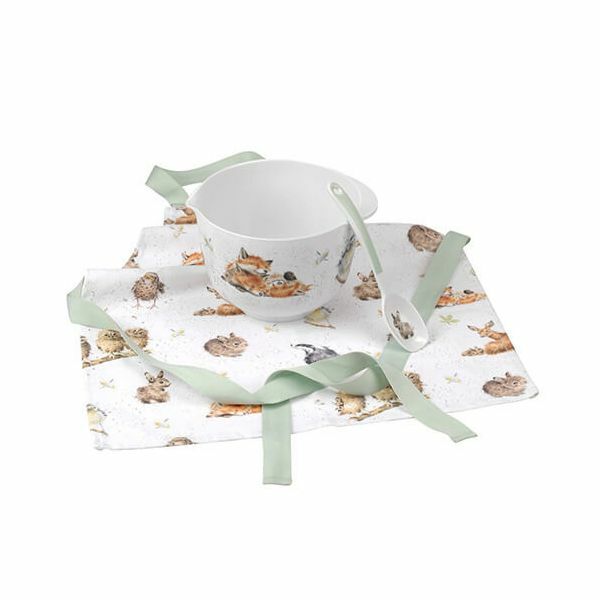 The natural and soft colours of this baking set show various wild animals on all pieces of this set.